Eva Coholic is the Patient Care Coordinator at My Plastic Surgeon. She provides friendly and efficient administrative support to make your experience comfortable and worry-free. When you come to our office, Eva is the person who welcomes you. She is your advocate, your go-to person, and she will be by your side to support you, guide you, answer all of your questions and cater to your needs. 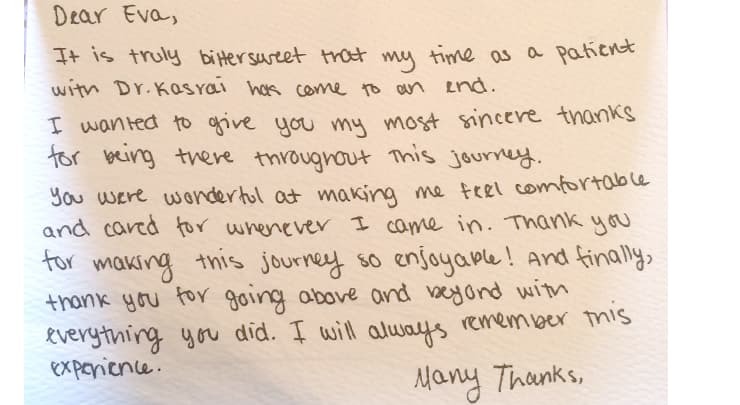 Her goal is to make your cosmetic surgery journey as smooth and stress-free as possible. 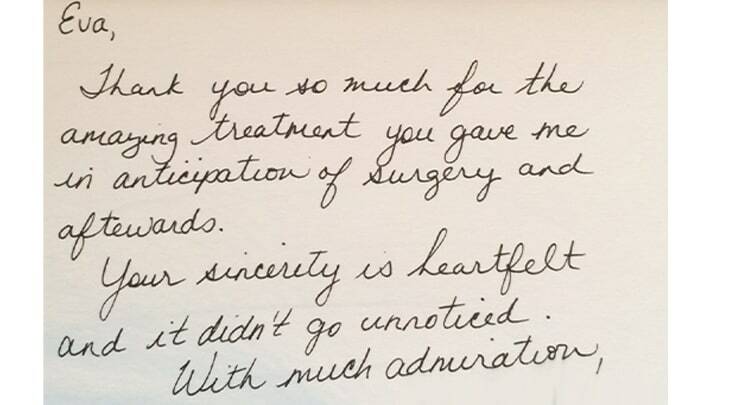 In fact, because you'll be dealing with regularly, we know that it's important a familiar face is there for you on the day of your surgery. 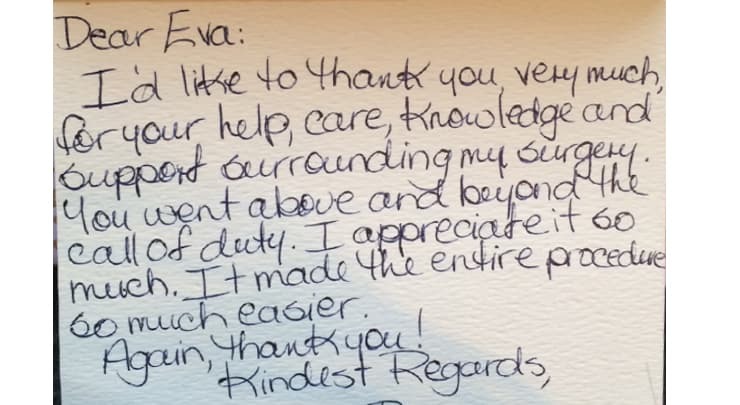 For that reason, Eva will be at the surgical facility on the day of your surgery to assist you and the people who accompany you. 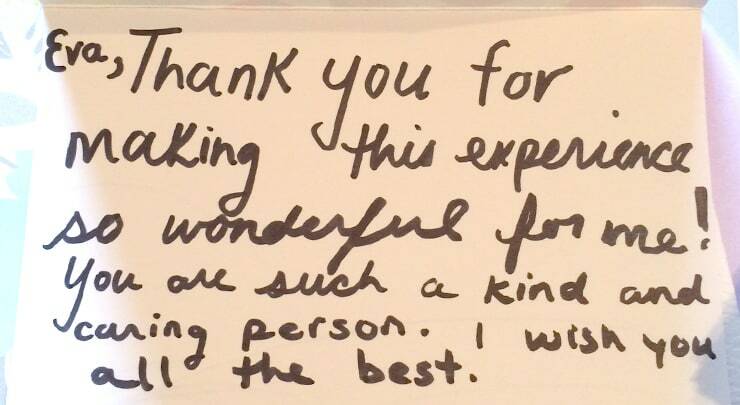 Among our Toronto plastic surgery patients, Eva is known as an extremely knowledgeable, friendly and caring person who offers compassionate support during every step of your plastic surgery experience. Her role is to make you feel comfortable with your life-changing decisions, and her level of care is unique and personal. Eva consistently goes the extra mile for our patients, giving them her cell phone number and making them feel like VIPs. She builds lasting relationships based on trust, understanding and mutual respect. 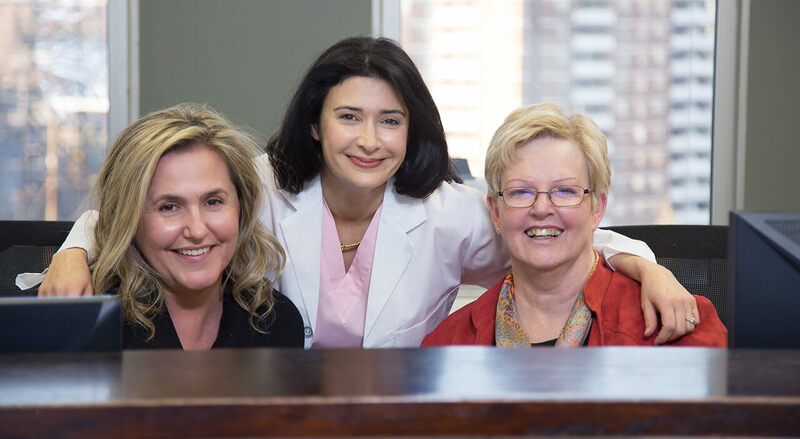 In addition, Eva manages our office and helps Dr. Kasrai create a warm and comfortable atmosphere where you'll flourish. Eva has an extensive background in client services, both in healthcare and other fields. She spent several years managing a busy dental practice, where she helped coordinate patient care and performed hands-on chair-side assistance. Before working with Dr. Kasrai, Eva worked at TD Canada Trust, where she provided frontline customer service to bank clients. 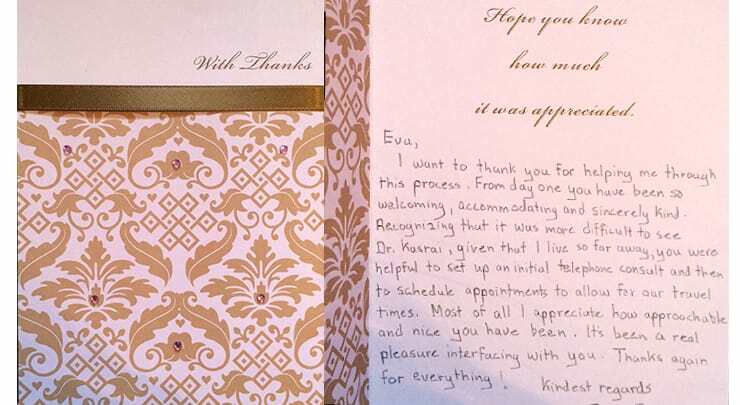 Eva is proud to be part of the compassionate, professional medical team at the office of Dr. Kasrai.